Zlatan Ibrahimovic is set to step up his training regime by making a return to Manchester United’s Carrington training complex next month. The 36-year-old has been out since suffering a torn ACL in our Europa League quarter-final victory over Anderlecht back in April. Ibrahimovic has spent most of his rehabilitation time back in his home country whilst making the odd trip to Carrington for progress checks. The Swedish star signed a one-year deal with us after the start of the season and is now closing in on making a return to daily training at the club, likely to be in early November. Should all remain on course then Zlatan Ibrahimovic is looking to return to the first-team fold by late November with the aim of starting his first match of the season against Arsenal on 2 December, according to Football 365. 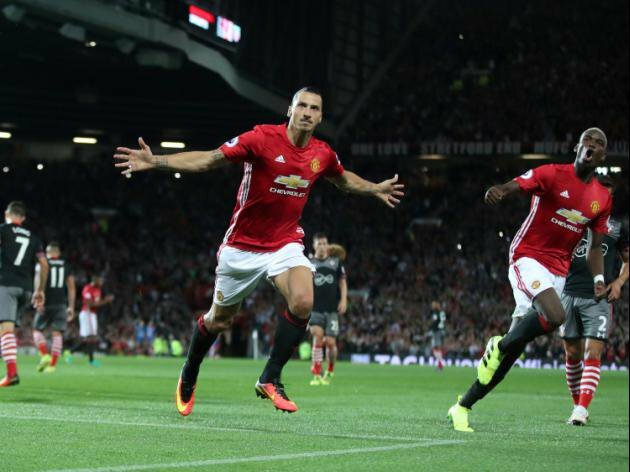 Zlatan Ibrahimovic was Manchester United’s top scorer last season and was replaced by the £75 million signing of Romelu Lukaku from Everton over the summer. The Belgian star has started with 11 goals in his first 10 appearances in all competitions for us. Marcus Rashford is the backup to the 24-year-old whilst Ibrahimovic is sidelined. Anthony Martial is another option for Jose Mourinho in this position. Having Zlatan back to full fitness for the busy Christmas period will be a huge boost given that both Rashford and Martial rotate as the left forward.